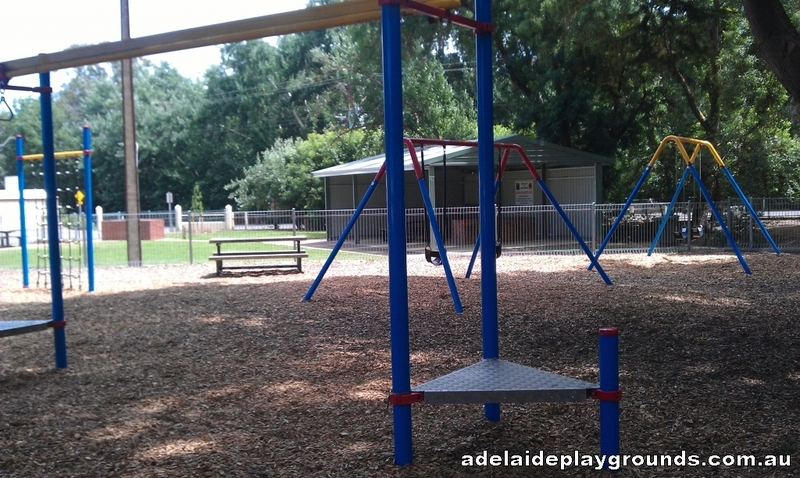 This nice little playground has some good equipment including a cubby house. 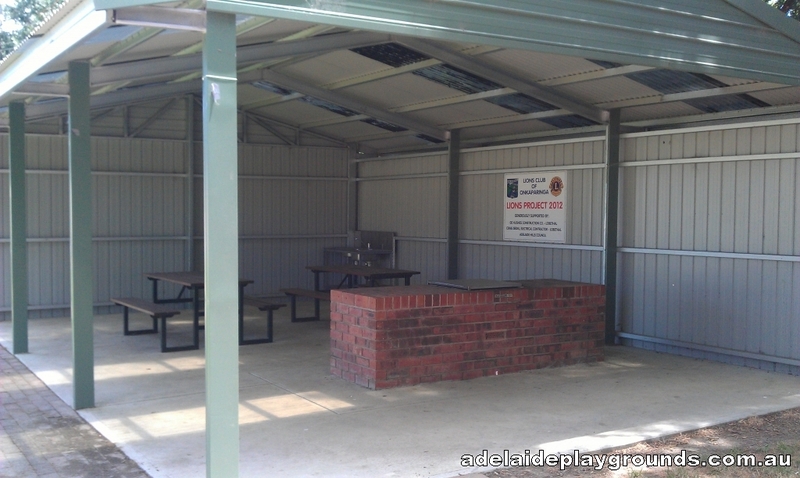 There is a large undercover bbq and picnic area provided by the Lions Club of Onkaparinga and a small area of grass to play on. 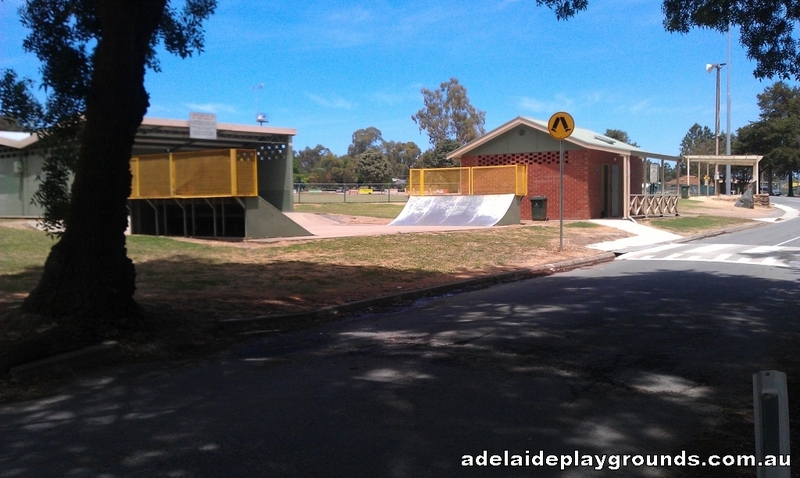 There is also a skate ramp opposite the play area and the oval for bigger ball games. 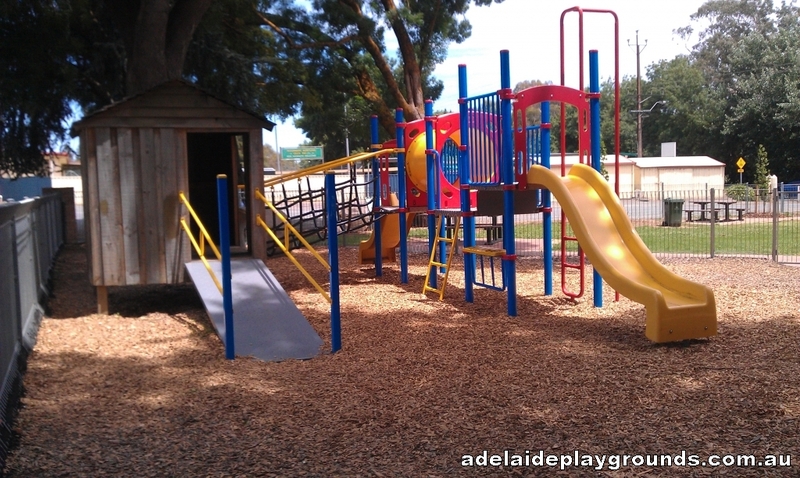 There is a carpark, however there is a sign that states entry only on Saturdays.